MainAll NewsEuropeDoes French election mean Jews can breathe sigh of relief? Does French election mean Jews can breathe sigh of relief? 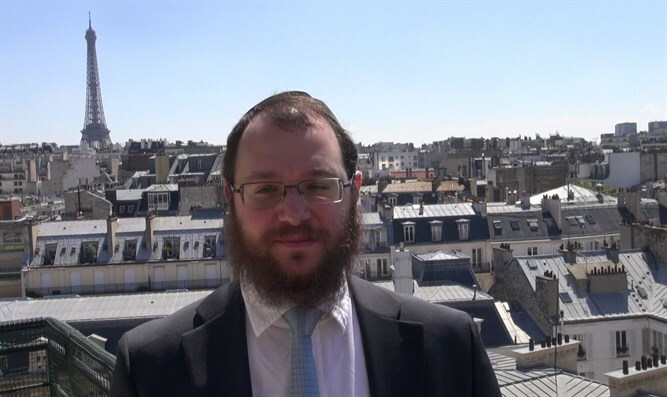 Rabbi Levi Matusov of the Paris Tunisian community and close associate of French President Elect Emmanuel Macron has been with him recently, also on the eve of the election results. "We have had a very strong connection in recent years, and during the celebration yesterday I wished him good luck and agreed that we still have a long way to go," Rabbi Matusov told Arutz Sheva. According to him, in previous talks with Macron the president-elect promised to bring for re-vote the decision denying the connection between Israel and Jerusalem. Rabbi Matusov stressed that Macron is sympathetic to the Jewish community in France. Rabbi Matusov, who has served as rabbi of Jewish communities in Europe for nearly 20 years, says that rabbis and governments in Europe must work together so that Jews can live a Jewish life without fear. Regarding the high number of votes received by Marine Le Pen, Rabbi Matusov says, "There are 11 million who chose Le Pen, including many racist and anti-Semitic voters, but there are many others with whom it is possible to work."